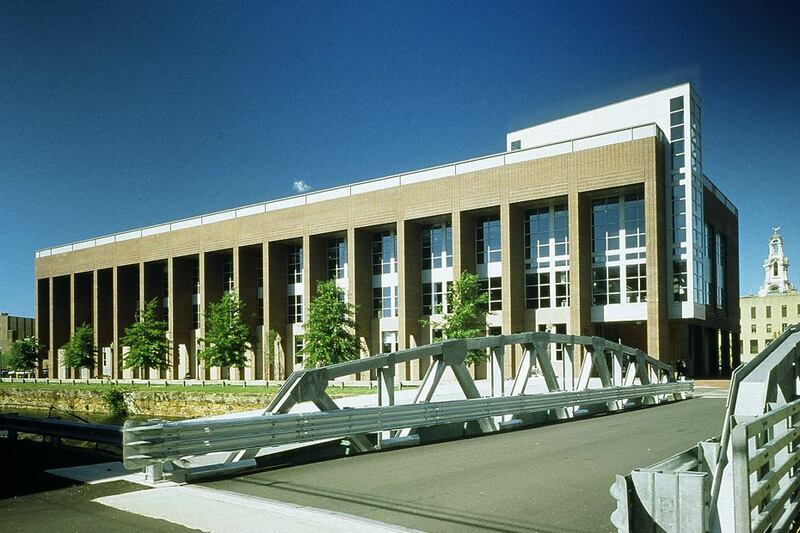 The Fenton Judicial Center presents a facade that is at once accessible and monumental. The colonnade serves as a sunscreen for the public hall. In most of the courtrooms the paneling extends over the ceiling and small square fluorescent downlights are detailed into the system. 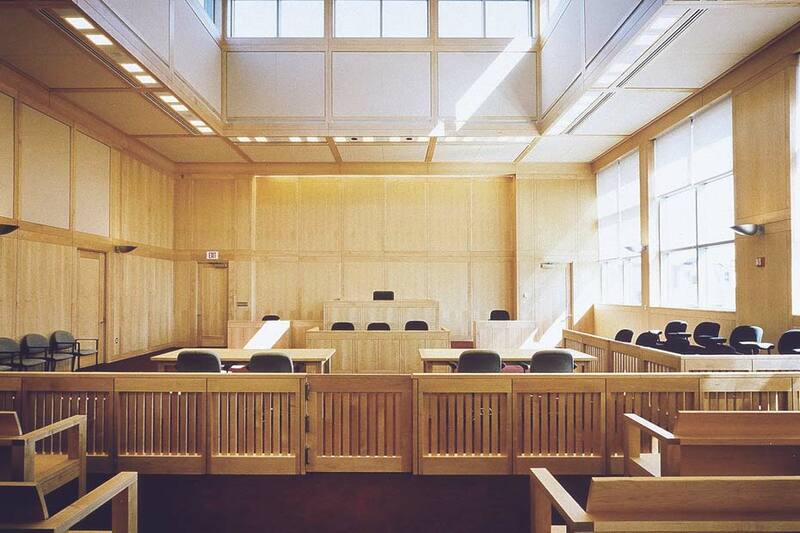 Adjustable fixtures with halogen PAR lamps accent the judge and litigants while also supplying task light. Fluorescent lamp color resembles the halogen color. Custom sconce halogen uplights illuminate the paneled ceiling, providing diffuse fill light and decorative accents. 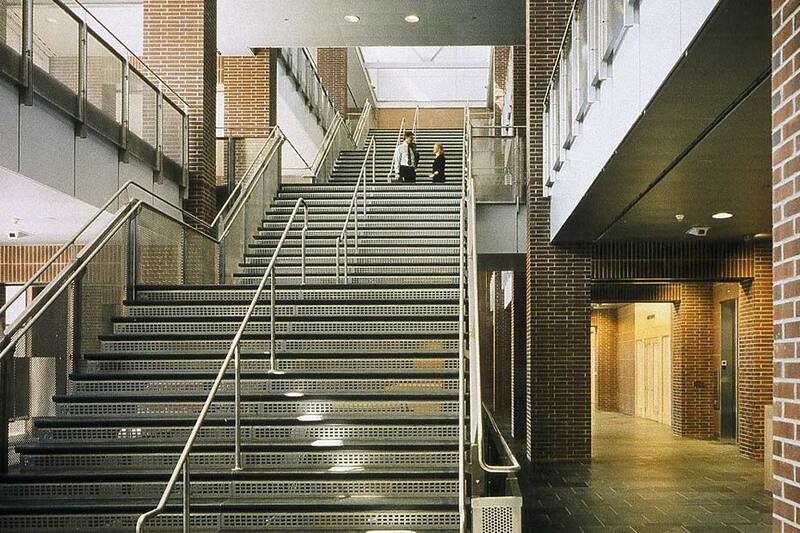 The grand public stair is illuminated with metal halide downlights. The paneled entrances to the courtrooms and offices are accented with metal halide wall washers. The sun is controlled with a deep well at the round clerestory monitor and fritted glass and shades at the windows. Light wood paneling diffuses the illumination. Compact fluorescent downlights give ambient light while adjustable fixtures with halogen PAR lamps accent the key participants and provide task light. 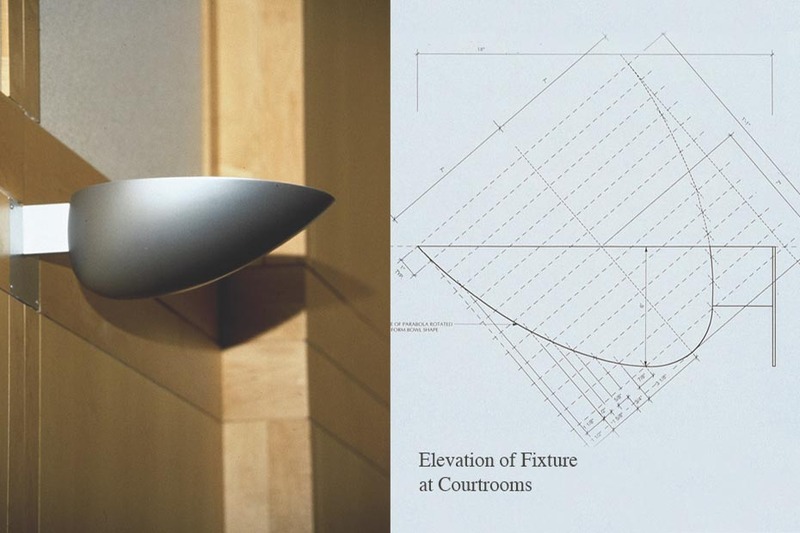 The disparate parts of the sconce were made of various materials, including fiberglass for the shell and aluminum for the bracket and wall plate. At the Fenton Judicial Center the massing, glazing, interior finishes and lighting work together to control and balance natural and artificial illumination. The lighting reinforces the sense that the building and process are transparent but secure, authoritative but also accessible. 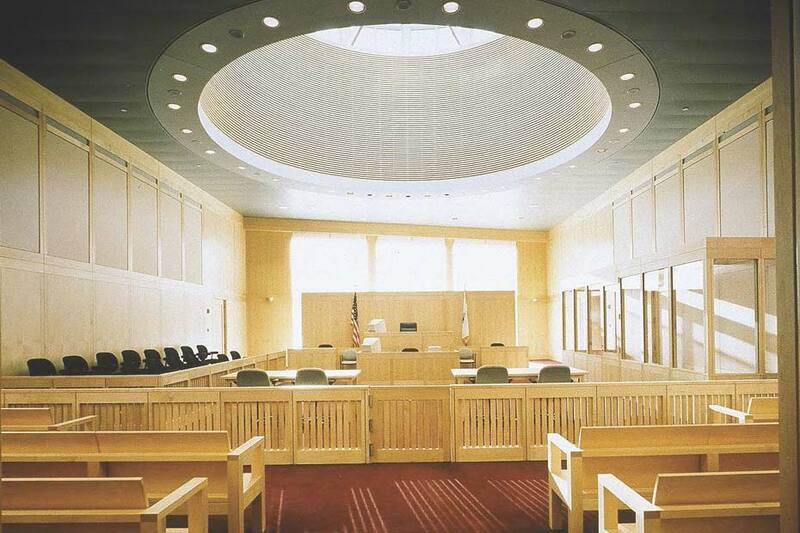 Custom sconces and adjustable accent fixtures enhance the special quality of courtrooms.